So I’ve made the tough call to put my novel, Olague, on pause . . . I’m not going to say “on hold” or “shutting it down for the year,” because I’m hoping that might not be completely true. But I’ve made the tough call to spend the rest of the year focusing on a podcast I’m working on that will be premiering January 2017. The first season will be ten episodes long and right now I’m working on the first draft of episode five. If I get episode ten written in say November, I’ll start working on Olague again, but time is ticking by ever so fast and I want this podcast to be up and ready to go come January. So I’ll be sad to put my growing baby away for the time being, but I’ve made some significant headway so far this year with a word count of almost 35,000 words. And I’d be lying to myself if I didn’t say I’m really excited to work more on the podcast. So here’s hoping episode ten gets written soon! Olague (3): Almost 35,000 Words! It’s been a while since I’ve done an update on my novel-in-progress, Olague. I shut it down last year once the holiday season kicked in, but since the beginning of 2016 it’s been going very well. Last night I finished up Chapter Three and am delighted with how the novel’s turning out. While I like to use outlines, especially when it comes to novels, they’re usually pretty vague outlines, more like a rough structure to the chapter and the part of the book, to get me going, and then I like to just let the characters do their thing, live in the world and tell the story. It still amazes me – and I know I’ve said this a couple times on Bookbanter – how the characters will act and react, and simply live in their world, making choices and decisions that I never predicted, expected, or sometimes saw coming in any way. I’ll be stuck on some plot point wondering how it’s going to play out, and when I can’t figure it quite out, I’ll just sit down and write and let the characters figure it out . . . which they always, astonishingly, pleasantly do. What has perhaps been the surprise that has made me happiest is the growing length of the novel. I knew it was going to be long, likely the longest thing I’ve ever written. I slapped on an estimated word count of a quarter of a million words, which is just a round about figure, but seems a pretty accurate one so far. I’m just happy that my characters so far have had a lot of their own stories to tell, filling the pages (or the screen) with words. Now for some fun numbers. Below is the breakdown of the chapters of the novel so far and the total word count at the bottom. I have an ongoing word count meter at the top of the main Bookbanter page on the right side, which I update as the word count changes. With the holiday season now in full swing; Thanksgiving just around the corner, and Christmas racing closely behind and arriving in now time, it means that my work is kicking into high gear and each day becomes a 10+ hour day with even less days off. This naturally means I’m more tired and have less energy to write. So I’ve made the call to shut down writing on my novel Olague for the year. I’m just not going to be able to dedicate the time and work I want to it each week, let alone each day, and it just feels right to put it on hold until 2016. I will likely still continue with brainstorming, idea making, and plotting, which I tend to do while working, and will continue to add notes and details to the outline. But as for actual writing, the word count is going to hold at 4,492 for the rest of the year. But I’m still extremely happy with what I’ve accomplished so far. My writing goal for this project for the year was at the very least to get started with writing it, maybe a page or two, and I’ve surpassed that with completing the prologue and working through Chapter One right now. I’m planning on starting up the writing January 1, 2016 and making it the big focus for the year. And in the meantime, in addition to doing some outline work on this project, I can also work on some other things I’ve got going on. Also with future Olague updates I’ll start including quotes from the novel. Olague: In the Beginning There Was . . . The long horror book that is Olague has begun. I first started having the inklings and little ideas two years ago, a few months before my son was born while doing my daily jog. The ideas grew bigger and became brainstorming sessions and that’s when I knew it was going to be a book. Two years down the road, with lots more brainstorming, research, and writing down ideas, on Monday I started writing the prologue; 2350 words later on Tuesday I finished the prologue. I’d forgotten that when you’re writing something long, like a book or novella, as opposed to a short story, characters assert themselves a lot more strongly and pretty much take over. I’d had an idea in my mind for the voice of the character and the feel I wanted the prologue to start with, and as I started putting the words on the screen, Patricia, my character, started being herself and telling the story how she wanted to tell it. It’s a weird feeling and the important thing is to realize what is happening and not just scrap what’s coming out because you’re not happy with it. It’s your character coming to life and no matter how much you might want to control what they say and think, they’re going to do it their way or not all. This is my first novel using Scrivener for plotting and writing a novel and so far it’s been an absolute delight. It’s like having an entire filing cabinet in one easy program on your computer. I can easily access various pages of notes all organized by what they are referencing, whether it be a chapter, a part of the book, or the overall manuscript. All the research notes are there. 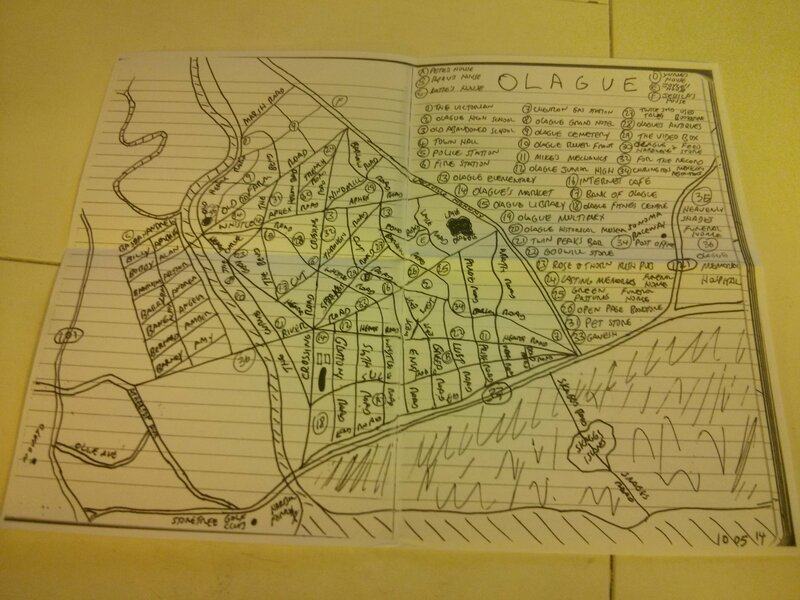 I’ve had to invent a town and create a map for said town (surprisingly named Olague) and I can have photos in there under locations for easy access and zooming available if necessary. It keeps word counts and allows you to view multiple screens at the same time, so I can be looking at research or a character sheet while working on a chapter. There are really no limits to what you can do with Scrivener it seems. 250K is my estimated word count for the book, obviously, and I have this niggling feeling in the back of my mind that it may surpass that. Depends on how the novel goes. For now, the prologue is in the books (so to speak), next is an interlude chapter, and then Chapter One! Next week, with the regular season of baseball for 2015 coming to an, I’ll be starting a new novel. I haven’t worked on writing a book in a few years. The last time was with White Horse (still in early editing stages) when I wrote “The End” on November 5th, 2011. I’ve had this book growing in size and complexity for over two years now and I’m ready to start putting some actual words down. I knew early on that I was going to have to invent a location for the book and soon settled on the name of the town and the book: Olague. Below you’ll find my detailed map of the town I’ve created located between Petaluma and Novato. It’s going to be fun putting some created people in this invented place that I’ve been playing around in my head for a long time now. Any posts on the subject of this novel will be under the keyword Olague. So I’ve started a new book, and by “new book,” I mean I haven’t written a single word of it yet, but I’ve begun working on shaping it. Think of it as a sculpture and I’ve just started shaving along the sides and giving a rough overall shape. Using Wikidpad, I’m building my story bible for the novel, which is a great piece of software that lets you create lots of pages and cross-link and index them. 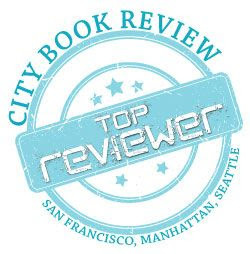 It’s a good place to start putting all the details and facts of your book for easy reference instead of writing them all down on bits of paper or in numerous notebooks. The idea came to me last August, 2013, when I was doing a daily jog and every day I’d get more ideas and thoughts and scribble them down. Now I’m working on honing some of these ideas and shaping and making some decisions on what to keep and what to get rid of. The book will also require me to invent a town, which I have begun with a map and will be starting to fill in the details of the town, then will come the characters. More to come, but for now it’s an exciting beginning time working on this book that feels like an accumulation of thoughts and ideas I’ve had over the last 15-20 years of my writing, bringing them altogether in this special book.